If you are following the Christmas Wishes giveaways(which you really ought to be), then I am sure you were blown away by the Rockboard Original Scooter I just posted about. If that is the case, you are really going to flip for this. 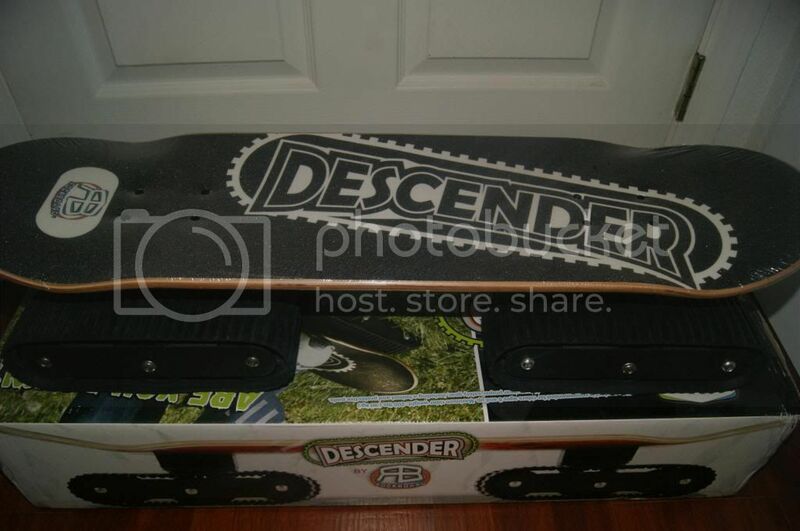 The Descender is the new, all-terrain, skate board from Rockboard. With winter weather ravaging many of the states, using a traditional skate board is not really possible. With the Descender, you don't have to wait for a sunny day or a smooth sidewalk. This board is outfitted with heavy duty rollers or tough as nails treads. These treads grip just about any downhill surface. Pavement, grass, wooded paths and even snowy hills are nothing the Descender can't conquer. Here in Florida, we NEVER get snow, but the all-terrain aspect is still very important to me. Since there is no sidewalk near our home, and we live right off a busy main road, there is not much room for him to ride on the pavement. Riding a traditional board in the grass would be practically impossible, so I love that with the Descender he can ride it right in our own backyard(literally). The width of these rollers makes the board easier to balance too. Since they can also pivot independently, bumps, lumps and dips are no cause for concern. One "wheel" could dip if need be while the others remain flat, so the board is harder to tip over. I can certainly speak to haw steady it is. I have the worst balance ever, and am usually terrified to skateboard. I can barely stay on a normal board, but this one was great. I almost didn't look like a fool. I am actually kind of proud if myself, although I've been out skateboarded by 8 year olds. My husband took this for a test ride too. He is not the best skateboarder either, but he did really well, and he said it was a lot of fun. The fact that two oldies like us can do it without getting hurt really helps us be confident in how safe it is for our son. Another aspect that I really love about this board is that is comes fully assembled in the box. Nothing is worse than having tons of gifts under the tree then not being able to play with anything after you open them all because everything needs to be assembled first. The Descender makes an awesome gift because it is so fun, and so safe, but it also helps get kids active, which keeps them healthier, so it really is an all around perfect gift. My son is a bit chubby, so I love finding fun ways to make him more active. This is exercise in disguise, and I love it. If you have a little adventurer on your shopping list, then I highly recommend the Descender. If you're lucky, you won't even have to buy it, because the Descender is on our Christmas Wishes list, which means we are giving one away. Actually, we are giving 2 away. You can enter to win this one below, and go HERE to the linky for all the giveaways. Another Descender giveaway will be added shortly. Double your chances to win and enter all the other fabulous giveaways while you're at it. Good luck. It's really unique! I've never seen anything like it before, and it definitely looks like it would be a ton of fun! I love how wide the Descender is, I have horrible balance! The best part of December is the excitement from the kids. I like the tread & how they grip most things! Wow! 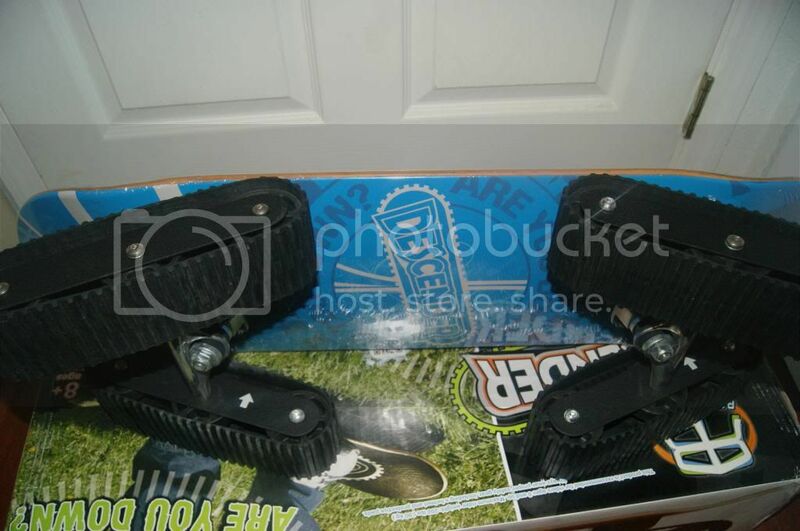 It's really neat and I like that it can go on grass and other terrains that other regular skateboards can't. I love that its safe and helps kids stay healthy! I like that it is an outdoor toy and it helps with balance and coordination. I like that it would be a great outdoor toy for my boys. I like how it looks tough and durable! This would make a great gift for my son! I love it is tough and still safe and durable. I love that it looks like so much fun and its safe and will get my boys outside even more. I love that it is safe for kids because kids like to play rough, and the fact that this is safe makes it so much better! It looks so cool that i might have to try it out! I like how steady it is! I love that it's so unique! How cool. I feel like it would be safer than traditional skateboards! I like that you can use it on all-terrains. My boys will like using it everywhere! I like the heavy duty rollers. It seems to be very durable! It's probably perfect for kids just learning to ride skateboards or smilier type toys. I just love that their products are different! It already comes fully assembled! That and it looks very durable, something I need for my boys! That it is sturdy!!! LOL !!! And the look of this is awesome! I love how safe this is, I think by next summer my son would be able to use it. He'd have a blast! I like that beginners can give it a go. I think it's super creative, and something new and different - definitely unique! I like that the treads can grip any surface. I like that it has multiple terratin uses! I like that it comes fully assembled. I like that you can even use this in the grass if need be. I like that it grips to any surface! I like that even my little boys could have fun with this and balance. I like that the treads grip surfaces especially in snow. I like that it is not just for little kids. Glad your husband tested it! I like that it is all terrain. My son would love it. I like that it's all-terrain, there isn't a lot of pavement where I live.